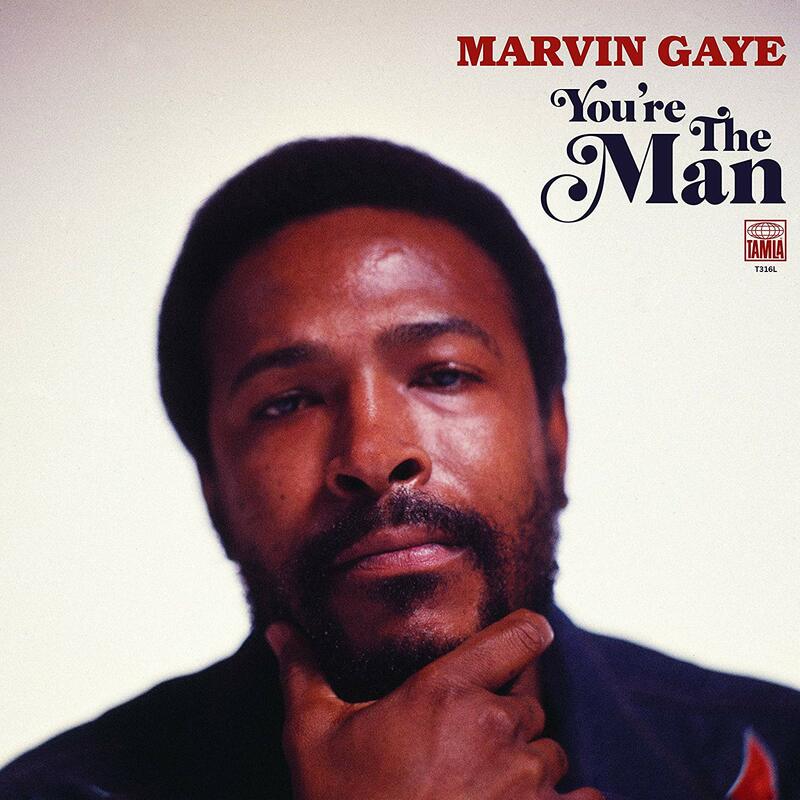 In celebration of Marvin Gaye's 80th birthday on April 2, Motown/UMe will release his never-issued 1972 Tamla/Motown album, You're The Man, in 2LP gatefold vinyl and digital editions on March 29. You're The Man features all of Gaye's solo and non-soundtrack recordings from 1972, with most of the album's tracks making their vinyl release debuts. In 1972, Marvin Gaye was on top: or so it seemed. "What's Going On," "Mercy Mercy Me (The Ecology)," and "Inner City Blues (Make Me Wanna Holler)," the three singles from his universally acclaimed album What's Going On, had each hit No. 1 on Billboard's Hot Soul Singles chart (since renamed Hot R&B/Hip-Hop Songs) and Top 10 Pop the year before. His new single, "You're The Man" – a percolating, sarcastic riff on political non-action issued as the U.S. presidential campaign was kicking off – reached No. 7 on Billboard's Hot Soul Singles chart. He saw Motown schedule a You're The Man album (catalog number Tamla 316). But when the lead single didn't cross over Pop, stalling at No. 50, Marvin retreated. Ambivalent about recording, stubborn about moving to Los Angeles with Berry Gordy and Motown, Marvin by his actions proclaimed no more new Marvin Gaye music. In this singular and transitional year for the late music legend, Gaye recorded more than an album's worth of music in Detroit and L.A. He produced himself, creating a suite of aching ballads; he worked with songwriters-becoming-producers Willie Hutch, then known mainly for the Jackson 5 smash "I'll Be There," but soon to be lauded for his film scores to The Mack and Foxy Brown; and with Pam Sawyer and Gloria Jones, whose "Piece of Clay" for Marvin decades later became a smash in the 1995 film Phenomenon. He cut two sought-after tracks with Freddie Perren and Fonce Mizell, half of the hit-making machine behind the Jackson 5; he got together with Hal Davis, who was preparing a Marvin Gaye-Diana Ross album, to cut another topical gem, "The World Is Rated X." And Marvin funnelled his anger over the Vietnam War, and his brother's experiences there, into a sequel of sorts to "What's Going On," the poetic holiday ballad, "I Want To Come Home For Christmas." He even re-cut "You're The Man" as an eerie funk jam, perhaps for the LP as a bookend to the single.